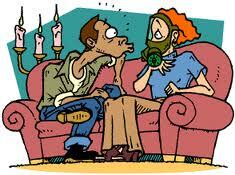 Halitosis, also known as Bad Breath, is a common issue. Unfortunately, it can cause embarrassment and some people are not aware that they have it. There are a few different causes of this so it is important to talk to your Oral Health Care Provider to help determine how to fix it. If you don't brush and floss daily, you risk having bad breath. Food particles left behind can decompose and cause an odor. Some foods, such as onions and garlic, can create an odor that stays with you even after brushing. If you have eliminated these foods and your home care is good, you may have a medical condition such as gastritis, diabetes, or chronic sinusitis, that is causing bad breath. If your dentist finds your mouth is healthy, they may refer you to your Primary Care Physician to check for medical issues causing halitosis. Just remember, mouthwash is a cosmetic treatment and if you have to use it constantly to mask odor, you need to see your dentist. Let us help you get your breath under control. Call us today for a consultation. Are You Grinding or Clenching Your Teeth? Most people don't realize they are grinding or clenching their teeth until they have pain, break a filling, or worse break a tooth. This condition is called bruxism, and most people don't realize they are doing it, because they do it while they are sleeping. Sometimes, a sleep partner will notice before you do. They can hear the grinding sounds and often it will wake them up. When someone is clenching their teeth, without grinding, it is often harder to diagnose until the dentist sees unusual wear patterns on the teeth. The patient may notice they wake up with a headache, earache or tooth ache. The pressure placed on the teeth from bruxism can cause TMJ pain, cracks and fractures in the enamel, and generalized sensitivity to cold. This condition can affect people at any age, can be mild and occasional or aggressive and frequent. At The Cosmetic Dentist, we want your mouth to be as healthy and comfortable as possible. We recommend a customized occlusal guard to help protect your teeth from bruxism. This will cover the teeth on one jaw and prevent contact with the opposing teeth. We also recommend that you use a warm moist washcloth on the side of the face to relax the muscles when they are hurting. No one wants to loose their teeth, but sometimes situations arise where a tooth must go. Trauma, retained baby teeth, bone loss and abscesses are all examples of why you might need to replace a tooth. At The Cosmetic Dentist, we want you to know your options. There are three different treatment options available when a tooth is lost: Dental Implants, Fixed Bridges, or Removable Partial Dentures. This type of restoration is as close to a natural tooth as possible. The Implant itself is used to replace the root structure of the missing tooth. It is placed below the gum in the bone. 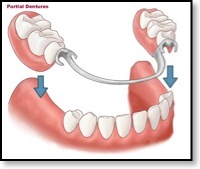 Sometimes, when the tooth is extracted, a bone graft is placed at that time to prepare the area for an implant. The bone needs to be thick and dense so it can grow around the implant to lock it into place. The process of integrating the implant into the bone is known as osseointegration. When the implant is ready, anywhere from 3-6 months, a crown can be placed on it. This will now serve as a functional tooth. Because there is no actual tooth anatomy left, it will not decay. This is the best option for tooth replacement. Some people are unable to have an implant. They may have waited to long and the bone is not strong enough, or grafting fails. In this type of restoration, the 2 teeth around the missing tooth are crowned and a fake tooth is attached between them. This is a permanent restoration, not able to be removed, cemented on to the teeth around the missing tooth. option. This attaches to the the teeth with clasps and is not always stable. They can be worn throughout the day, but should be removed and soaked while you are sleeping. This is the least expensive option, but patients have the hardest time adjusting to this appliance. If you are missing a tooth, or teeth, and you would like more information, call us to set up a consultation﻿ so we can discuss your specific needs. 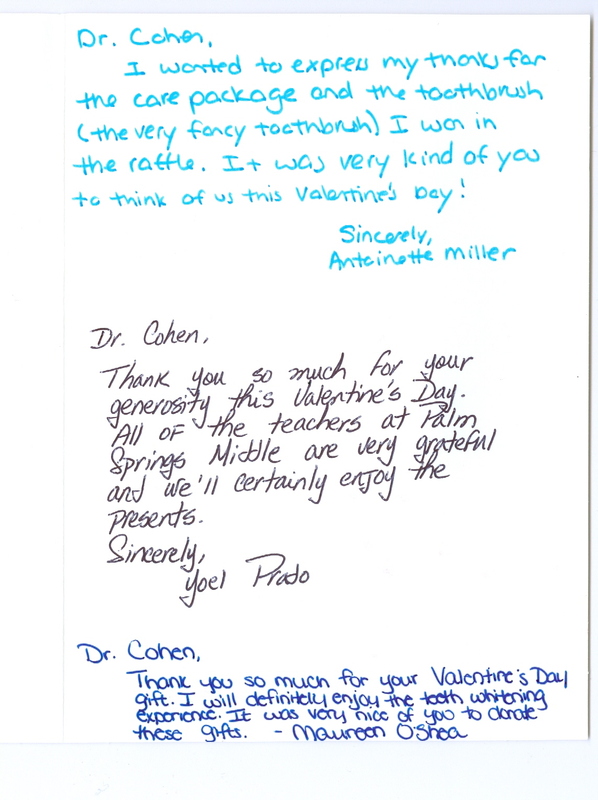 We are so glad our friends at Palm Springs Community Middle School enjoyed their goody bags! Mouthwash: To Many To Choose! When you walk down the dental health care aisle at the grocery store, it can be slightly overwhelming. There are so many products on the shelf it can be difficult to decide which product is right for you. Today we are going to talk about Mouthwash. This should help you determine which product meets your needs. At The Cosmetic Dentist, we recommend three kinds of mouthwash for different reasons. The first type we may recommend is antiseptic. This includes Listerine, Crest Pro Health, Scope or any store brand antiseptic mouthwash. Using this type of oral rinse helps kill bacteria. It is great for patients with gingivitis or gum disease. Some of these products have alcohol in them. Alcohol can dry out oral tissues quickly and if you have issues with dry mouth, these products can be damaging. We prefer our patients use mouthwash without alcohol. The second type of oral rinse we recommend is a Fluoride Rinse. This includes ACT, Fluoridex, or any store brand fluoride rinse. Patients with a high risk of cavities should use an oral rinse with fluoride for extra protection. It will help strengthen teeth and prevent new cavities. The third type is a Dry Mouth Rinse. This includes Biotene, Colgate Dry Mouth or any store brand dry mouth rinse. There are over 400 medications that list dry mouth as a side effect. This is a real problem because dry mouth is a risk factor several oral conditions. This type of rinse helps to maintain moisture in your mouth. This helps with comfort and health. We hope this helps you narrow down the type of mouth wash you need. You may find you need to use a combination of these rinses to maintain your oral balance. Talk to your dental professional about the best mouthwash routine for your oral care. Test Your Dental Health Knowledge! Do you like a great trivia game? Well then you are in the right place. Today's blog starts with a quiz. Answer these questions to test your Dental Health Knowledge. Check your answers and see if you can learn something new today! 1. How many times a year should you have a dental cleaning? 2. When is the most important to time of day to brush your teeth? 3. True or False: Cleaning your tongue is optional. 4. How many teeth do adults have? 5. How often should you change your tooth brush? 6. What does fluoride do? 7. True or False: Flossing consists of snapping the floss between the teeth and removing it quickly. 8. What is the strongest substance in your body? 9. Is it what you eat, or when you eat, that causes tooth decay? 10. True or False: Smoking and Chewing Tobacco products can cause Gingivitis, Gum Disease, and can lead to Oral Cancer. 1.This is a trick question. This really depends on the patient. A normal healthy patient with very little work in their mouth is seen every 6 months. Patients with gum disease, poor home care, large amounts of restorations, or high risk of tooth decay should be seen every 3 months. This helps us keep the bacteria levels in the mouth down. 2. The most important time of day to brush your teeth is before bed. You want to get all that bacteria off your teeth so that the acids don't attack your teeth for 8 hours straight while you sleep. None the less, you should always try to brush at least 2 times a day. 3. FALSE. Cleaning your tongue is one of the most important parts of your dental routine. The tongue harbors a lot of bacteria, so don't forget to clean it every time you brush your teeth. 4. Adults have 32 teeth. However, many people have had their wisdom teeth out or had teeth removed for braces. For this reason, the number can vary person to person. 5. Your tooth brush should be changed every 3 months or after you are sick. 6. Fluoride is used to strengthen teeth, calm sensitivity and prevent tooth decay. 7. FALSE. Never snap floss between your teeth, this can damage gums. Also, floss should be curved around each tooth and used to scrape the plaque off the tooth. 8. Enamel! It is the hardest, most mineralized substance in the body. 9. It's both! It is important to eat a balanced diet, and limit snacks between meals. Sugary snacks are not the best choice. Cheese or raw veggies are better. The more frequently you eat, the longer foods are in your mouth and more damage can occur. 10. TRUE. About eight out of ten people with mouth and throat cancers use tobacco and the risk of developing these cancers increases with the amount smoked or chewed and duration of the habit. Use of tobacco products, smoked or chewed can lead to Gingivitis and Gum Disease. What's the Procedure for Getting a Dental Veneer? Getting a dental veneer usually requires three trips to the dentist – one for a consultation and two to make and apply the veneers. One tooth or many teeth can simultaneously undergo the veneering process described below. Diagnosis and treatment planning. This first step involves active participation between you and your dentist. Explain to your dentist the result that you are trying to achieve. During this appointment your dentist will examine your teeth to make sure dental veneers are appropriate for you and discuss what the procedure will involve and some of its limitations. He or she also may take X-rays and possibly make impressions of your mouth and teeth. Preparation. To prepare a tooth for a veneer, your dentist will remove about 1/2 millimeter of enamel from the tooth surface, which is an amount nearly equal to the thickness of the veneer to be added to the tooth surface. Before trimming off the enamel, you and your dentist will decide the need for a local anesthetic to numb the area. Next, your dentist will make a model or impression of your tooth. This model is sent out to a dental laboratory, which in turn constructs your veneer. It usually takes 1 to 2 weeks for your dentist to receive the veneers back from the laboratory. 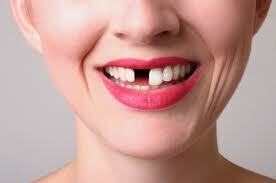 For very unsightly teeth, temporary dental veneers can be placed for an additional cost. Bonding . Before the dental veneer is permanently cemented to your tooth, your dentist will temporarily place it on your tooth to examine its fit and color. He or she will repeatedly remove and trim the veneer as needed to achieve the proper fit; the veneer color can be adjusted with the shade of cement to be used. Next, to prepare your tooth to receive the veneer, your tooth will be cleaned, polished, and etched -- which roughens the tooth to allow for a strong bonding process. 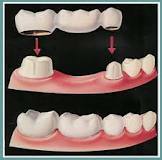 A special cement is applied to the veneer and the veneer is then placed on your tooth. Once properly position on the tooth, your dentist will apply a special light beam to the dental veneer, which activates chemicals in the cement causing it to harden or cure very quickly. The final steps involve removing any excess cement, evaluating your bite and making any final adjustments in the veneer as necessary. Your dentist may ask you to return for a follow-up visit in a couple of weeks to check how your gums are responding to the presence of your veneer and to once again examine the veneer's placement. · They provide a natural tooth appearance. · Gum tissue tolerates porcelain well. · Porcelain veneers are stain resistant. · The color of a porcelain veneer can be selected such that it makes dark teeth appear whiter. · Veneers offer a conservative approach to changing a tooth's color and shape -- veneers generally don't require the extensive shaping prior to the procedure that crowns do, yet offer a stronger, more aesthetic alternative. Veneers may not exactly match the color of your other teeth. Also, the veneer's color cannot be altered once in place. If you plan on whitening your teeth, you need to do so before getting veneers. Individuals who clench and grind their teeth are poor candidates for porcelain veneers, as these activities can cause the veneers to crack or chip. Veneers generally last between 5 and 10 years. After this time, the veneers would need to be replaced. Sports Mouth Guards: Protect Yourself! Let's be real, sports injuries happen. They seem to be more common in contact sports like football and hockey, but can also occur during non-contact sports like gymnastics and skate boarding. From a dental perspective, most dental injuries related to sports can be prevented by simply wearing a sports mouth guard. This guard can protect the the teeth, gums, cheeks and lips. They are strongly recommended for all athletes, but especially for athletes with braces. Sports related mouth injuries are likely to be worse when braces are involved. There are 3 types of sports mouth guards you can purchase, stock, boil and bite, and custom fitted. The stock type is bought ready to use. It cannot be adjusted, and tends to feel bulky in the mouth. This is not the best choice, but some protection is always better than none. The boil and bite type is self explainatory. You boil the guard in hot water to soften it, and bite into it while it is warm to form it around your teeth. This can be complicated. If directions are not followed exactly, it may not fit correctly. The best type of mouth guard is a custom fitted guard. These are made by your dentist. Impressions are taken and mold of your mouth is made. 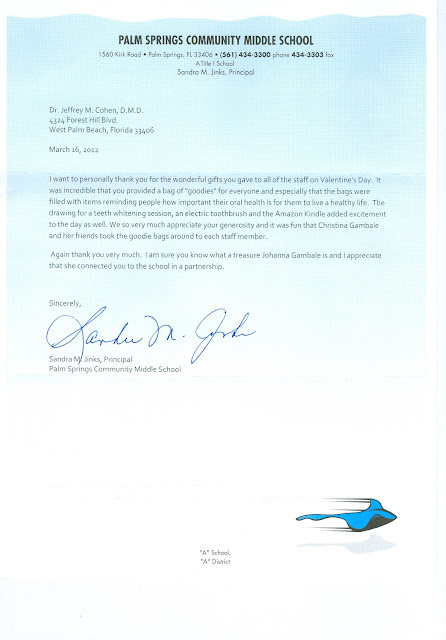 This is sent to the lab where your custom fitted mouth guard is fabricated. They can add your favotie colors, your team logo, or your school mascot. This will be a good fit, guaranteed. No matter what type of mouth guard you use, the most important thing is that it fits your mouth snugly to do its job and that job is... to protect your mouth and all its parts! Many teeth whitening systems are available, including whitening toothpastes, over-the-counter gels, rinses, strips, and trays, and whitening agents obtained from a dentist. All toothpastes help remove surface stains because they contain mild abrasives. Some whitening toothpastes contain gentle polishing or chemical agents that provide additional stain removal effectiveness. Whitening toothpastes can help remove surface stains only and do not contain bleach; over-the-counter and professional whitening products contain carbamide peroxide or hydrogen peroxide that helps lighten the color deep in the tooth. Whitening toothpastes can lighten your tooth's color by about one shade. In contrast, light-activated whitening conducted in your dentist's office can make your teeth three to eight shades lighter. Whitening gels are clear, peroxide-based gels applied with a small brush directly to the surface of your teeth. Instructions generally call for twice a day application for 14 days. Initial results are seen in a few days and final results are sustained for about four months. Whitening strips are very thin, virtually invisible strips that are coated with a peroxide-based whitening gel. The strips are applied twice daily for 30 minutes for 14 days. Initial results are seen in a few days and final results are sustained for about four months. Among the newest whitening products available are whitening rinses. Like most mouthwashes, they freshen breath and help reduce dental plaque and gum disease. But these products also include ingredients, such as hydrogen peroxide, which whiten teeth. Manufacturers say it may take 12 weeks to see results. You just swish them around in your mouth for 60 seconds twice a day before brushing your teeth. However, some experts say that rinses may not be as effective as other over-the-counter whitening products. Because a whitening rinse is only in contact with the teeth for such a short time -- just two minutes a day compared to 30 minutes for many strips -- it may have less of an effect. 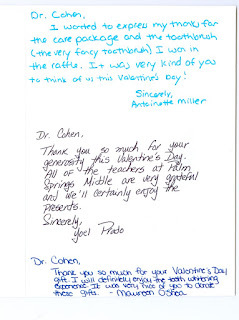 Tray-based tooth whitening systems, purchased either over-the-counter or from your dentist, involve filling a mouth guard-like tray with a gel whitening solution -- which contains a peroxide-bleaching agent -- and wearing the tray for a period of time, generally from a couple hours a day to every day during the night for up to four weeks and even longer (depending on the degree of discoloration and desired level of whitening). In-office bleaching provides the quickest way to whiten teeth. With in-office bleaching, the whitening product is applied directly to the teeth. These products can be used in combination with heat, a special light, and/or a laser. Results are seen in only one, 30- to 60-minute treatment. But to achieve dramatic results, several appointments are usually needed. However, with in-office bleaching, dramatic results can be seen after the first treatment. This type of whitening is the most expensive technique. Teeth whitening is not permanent. People who expose their teeth to foods and beverages that cause staining may see the whiteness start to fade in as little as one month. Those who avoid foods and beverages that stain may be able to wait one year or longer before another whitening treatment or touch-up is needed. The degree of whiteness will vary from individual to individual depending on the condition of the teeth, nature of the stain, the type of bleaching system used, and for how long. Sedation Dentistry: Can You Really Relax in the Dentist's Chair? Does the thought of having your teeth cleaned make your entire body tense with fear? Would you rather endure the agony of a toothache than step foot in a dentist's office? You're not alone. A lot of people are so phobic about going to the dentist that they prefer not to have any treatment. For people who avoid dentists like the plague, sedation dentistry may take away some of their anxiety. Sedation can be used for everything from invasive procedures to a simple tooth cleaning. How it's used depends on the severity of the fear. Sedation dentistry uses medication to help patients relax during dental procedures. It's sometimes referred to as "sleep dentistry," although that's not entirely accurate. Patients are usually awake with the exception of those who are under general anesthesia. · Minimal sedation -- you are awake but relaxed. · Moderate sedation (formerly called "conscious sedation") -- You may slur your words when speaking and not remember much of the procedure. · Deep sedation -- you are on the edge of consciousness but can still be awakened. · General anesthesia -- you are completely unconscious. What Types of Sedation Are Used in Dentistry? · Inhaled minimal sedation. You breathe nitrous oxide -- otherwise known as "laughing gas" -- combined with oxygen through a mask that's placed over your nose. The gas helps you relax. Your dentist can control the amount of sedation you receive, and the gas tends to wear off quickly. This is the only form of sedation where you may be able to drive yourself home after the procedure. · Oral sedation. Depending on the total dose given, oral sedation can range from minimal to moderate. For minimal sedation, you take a pill. Typically, the pill is Halcion, which is a member of the same drug family as Valium, and it's usually taken about an hour before the procedure. The pill will make you drowsy, although you'll still be awake. A larger dose may be given to produce moderate sedation. This is the type of anesthesia most commonly associated with sedation dentistry. Some people become groggy enough from moderate oral sedation to actually fall asleep during the procedure. They usually can, though, be awakened with a gentle shake. · IV moderate sedation. You receive the sedative drug through a vein, so it goes to work more quickly. This method allows the dentist to continually adjust the level of sedation. · Deep sedation and general anesthesia. You will get medications that will make you either almost unconscious or totally unconscious -- deeply asleep -- during the procedure. While you are under general anesthesia, you cannot easily be awakened until the effects of the anesthesia wear off or are reversed with medication. Regardless of which type of sedation you receive, you'll also typically need a local anesthetic -- numbing medication at the site where the dentist is working in the mouth -- to relieve pain if the procedure causes any discomfort.